According to author Captain Henry H. Hooyer, forces acting on the ship have an effective lever arm with respect to a hypothetical pivot point. The forces creating or affecting this pivot point include the ship's motion, underwater resistance, and momentum. 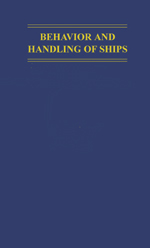 The book will be particularly helpful to pilots and ships' officers, and those whose jobs require a thorough understanding of ship behavior.